Introducing the CT6 V-Sport, the first-ever V-Performance model of its top-of-range sedan. 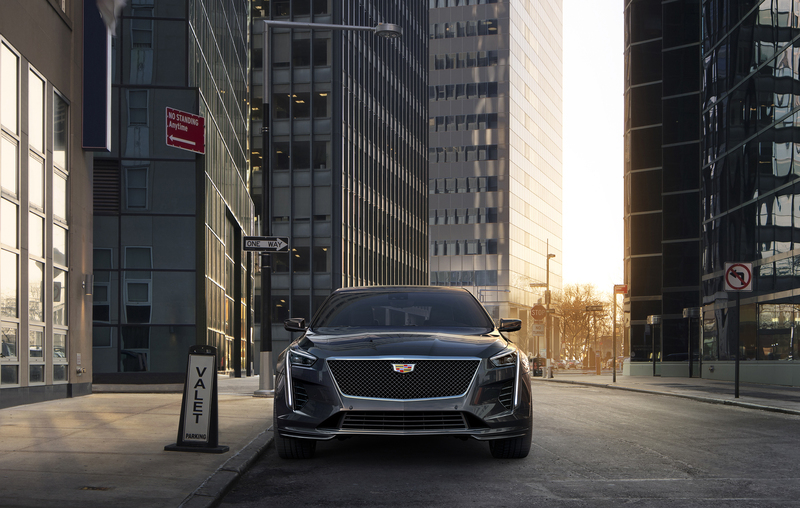 The introduction of the high-performance variant coincides with a makeover of the entire CT6 lineup that incorporates the newest iteration of Cadillac’s design language featured on the Escala Concept. The Cadillac V-Sport portfolio currently includes the CTS V-Sport and the XTS V-Sport. The CT6 V-Sport boasts an all-new Cadillac 4.2L Twin Turbo V-8 Cadillac -estimated at 550 horsepower (410 kW) and stunning 627 lb-ft of torque (850 Nm) that elevates the CT6’s performance to a new plateau and offers drivers an unparalleled experience behind the wheel. The engine is a clean-sheet design and introduces unique design elements developed to balance performance and efficiency with compact, mass-efficient packaging. At the center of the Cadillac Twin Turbo V8 is a “hot V” configuration that transposes the conventional layout of the cylinder heads’ intake and exhaust systems to mount the turbochargers at the top of the engine — in the valley between the heads — to virtually eliminate turbo lag and reduce the engine’s overall packaging size. The new Cadillac Twin Turbo V-8 is matched with a 10-speed automatic transmission. Its broad, 7.39 overall gear ratio spread enhances off-the-line performance and contributes to reduced engine speed on the highway for refinement and efficiency. Narrow steps between the gear ratios also help the engine maintain the optimal speed for maximum power at almost all vehicle speeds.